SOUTHERN UTAH — Though the date on the calendar hasn’t officially told us it’s summer yet, there are a few tell-tale signs that the season has arrived. The warming temperatures for one; and two, the two most dreadful words a parent can hear — “I’m bored” — have become a part of regular life. While we can’t do anything about the first, we went “On the Hunt” to find some unique ways to bust boredom and “hang out” this summer. 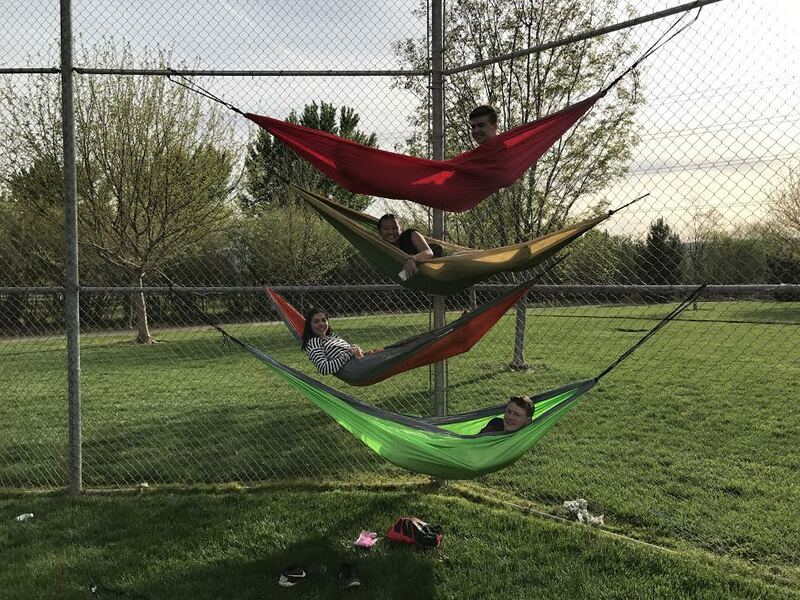 Our first find on the hunt was a group of youth who were hanging out in an unusual place … on the backstop of a baseball field in a park … in hammocks. Hammock brands such as Hobo Hammocks and ENO Hammocks have innovated the way people use a hammock, offering users a portable yet durable way to hang out almost anywhere. Including on a baseball field backstop. Our friendly youngsters said they love the hammocks because you can get them up really high and it is easier than trying to hang them between trees. These portable hammocks can be purchased at most major outdoor retail stores or online. So whether it is camping or yet another summer baseball game you can hang out in style and have a blast while doing it. If you have been to a park with lots of trees in recent years, chances are you have probably seen a group of people walking along a narrow strap strung between two trees. That strap, or flat webbing, is known as a slackline and the art of walking across one is growing rapidly in popularity. 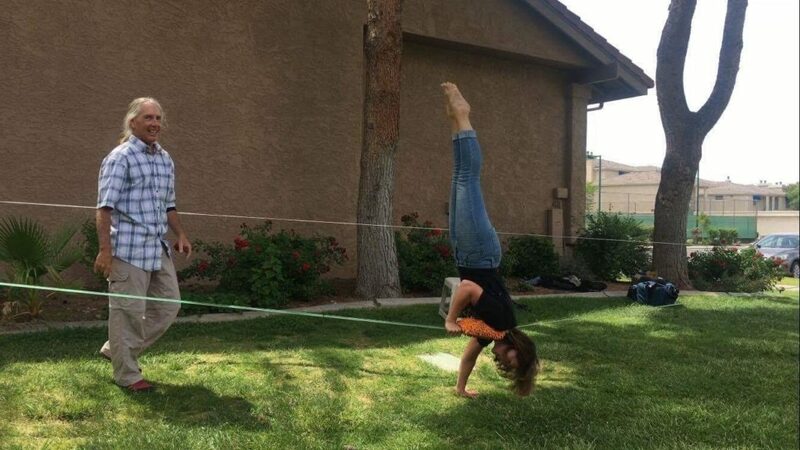 From slackline yoga to tricklining and highlining —all different variations of slacklining — this unique activity helps improve balance, physical and mental strength and is just plain fun for everyone. On the quest to find the best ways to hang out this summer the “On the Hunt” team met up with our friend Marc Hansen from Green Valley Hiking. Hansen is an accomplished slackliner who often takes his skills to dizzying heights with his highline setups. Hansen gave us a few of his best tips and tricks to slackline success and his instruction left us all with the slackline bug. Slacklining is easy to start. Kits can be purchased online at places such as Amazon or eBay or at any decent outdoor retail store, including The Desert Rat in St. George. Hansen said to be sure and wrap a towel, blanket or some sort of protection around the trees you are using as anchors to protect the trees. With nothing but a pair of climbing shoes, chalk and a mat, residents of Southern Utah can head out their doors and be within easy access of one of the most fun and challenging ways to hang out all summer long and beyond … bouldering. “On the Hunt” paid a visit to Bo Beck, manager of The Desert Rat, to get the lowdown on bouldering and what it takes to get out on the rocks. Bouldering is a style of rock climbing that is done without ropes or a harness. Most climbs are small and are called bouldering problems, the routes climbers take to complete their climbs. Bouldering was once done as a way to train for bigger, roped climbs but has become extremely popular in its own right, Beck said. Minimal equipment is needed to get started though climbing shoes, chalk and a safety mat are recommended. Because of Southern Utah’s extreme summer temperatures it is suggested that this activity be done in the morning. There are certainly no shortage of boulder fields in Southern Utah, so head out and test your rock prowess. 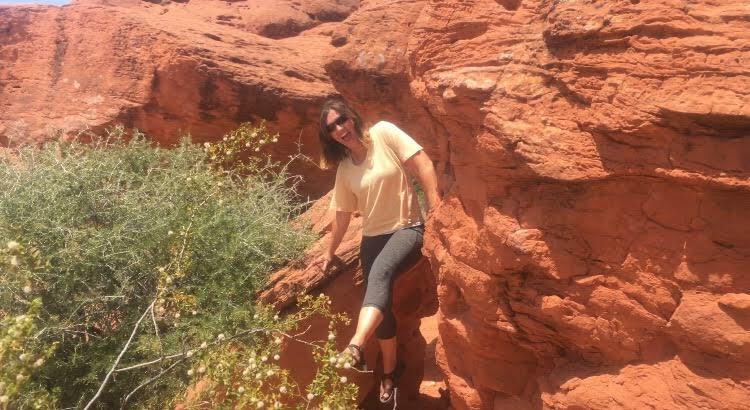 Learn more: The city of St. George offers bouldering classes for youth. Schedules and pricing can be found online. How do you “hang out” in the summer? Let us know in the comments. “On the Hunt” is a series dedicated to finding the best of the best in Southern Utah. From that thing called “Pho” to the best thrift store finds and beyond, “On the Hunt” will be bringing you our favorite finds. What do you want us to find? Tell us in the comments to this story or email Hollie Reina at [email protected]. Read more: See all of the features in the “On the Hunt” series.